6×6 Community Exhibit a Success! The 6×6 exhibit will be up through Feb. 23. Stop by to see and purchase our community’s creativity! 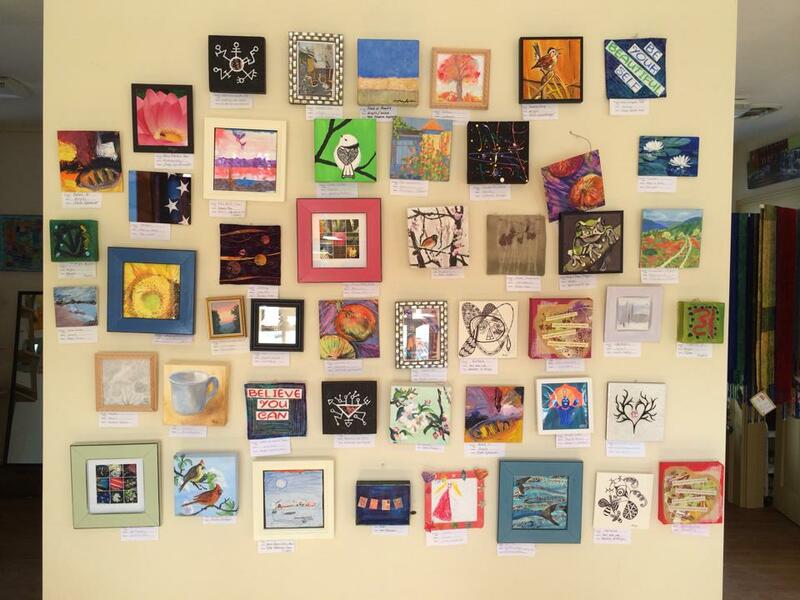 Our 6×6 community exhibit celebrated its grand opening on Saturday , Feb 8, with over 100 entries of handmade art by folks right in our community! With over 100 entries, from local artist ranging in age from 6 to 95, the show is up through Feb 23. There is a wonderful array of artwork in many mediums from pencil, charcoal, oil ,acrylic, crayon, glass, fabric, altars,en-caustic, and mixed media. Seventh graders from Greenfield Center School added pieces to the show. All works are on sale for $36. The artist gets 80% of the sales. One hundred people came to see the exhibit on the opening day. The gallery is open Thurday- Suday from 12- 6pm. Come enjoy the creativity in our community!